These Star Fish Towels gives your kitchen and nice spring/summer look. This listing is for ONE towel. But feel free to purchase both of them. 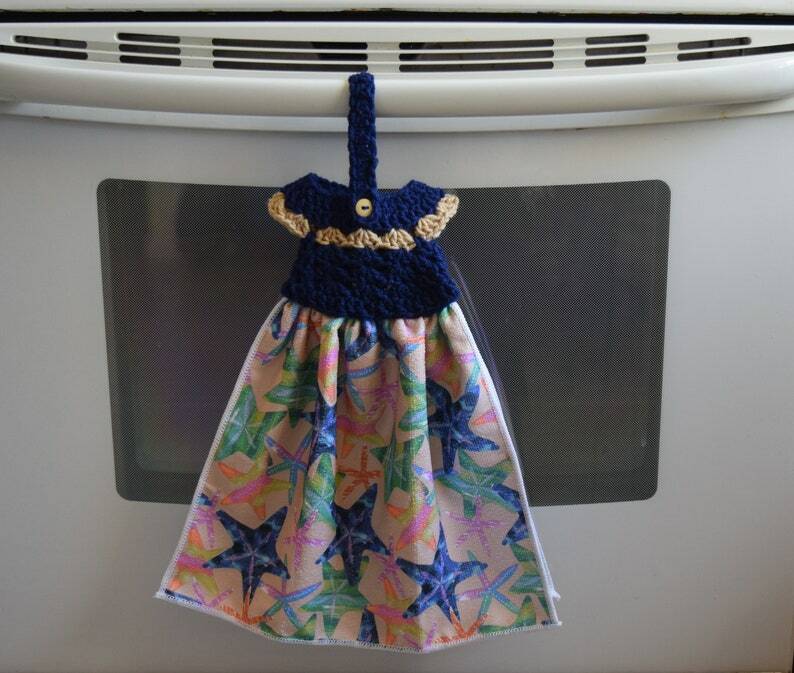 It is a polyester towel with an acrylic yarn Crochet Dress Topper that is Blue and has tan as the accent color. The towel itself once folded is 15 inches wide and 11.5 inches tall, with the crochet dress it is 15.5 inches tall. You will only receive one towel unless you order both.